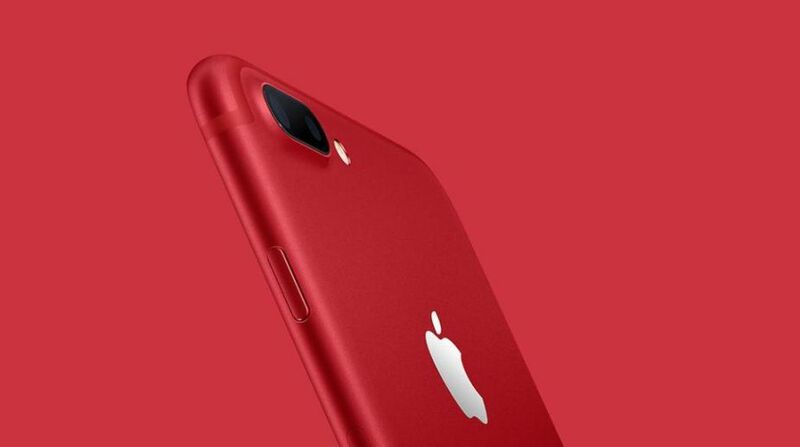 Recognising more than 10 years of partnership with the Product (RED) charity that fights against HIV/AIDS, Apple on Tuesday announced iPhone 7 and iPhone 7 Plus in a vibrant red aluminium finish. "Combining the global reach of the world's most loved smartphone with our efforts to provide access to life-saving ARV medication in sub-Saharan Africa, customers now have a remarkable opportunity to make a difference and contribute to the Global Fund through the purchase of this new beautiful (PRODUCT) RED iPhone," said Deborah Dugan, (RED)'s CEO, in a statement. "Since we began working with (RED) 10 years ago, our customers have made a significant impact in fighting the spread of AIDS through the purchase of our products," said Tim Cook, Apple CEO, in a statement. "The introduction of this special edition iPhone in a gorgeous red finish is our biggest (PRODUCT) RED offering to date in celebration of our partnership with (RED), and we can't wait to get it into customers' hands," Cook added. "iPad is the world's most popular tablet. Customers love the large, 9.7-inch display for everything from watching TV and movies, to surfing the web, making FaceTime calls, and enjoying photos, and now it is even more affordable," said Philip Schiller, Apple's senior vice president of Worldwide Marketing. iPad features a beautifully bright Retina display with over 3.1 million pixels for stunning pictures and videos. The Apple-designed A9 chip with 64-bit desktop-class architecture delivers fast processing and graphics performance for apps and games. ipad, that comes with iOS 10, can also be purchased from Friday. Apart from this, Apple also introduced Clips, a new app that makes it quick and fun for anyone to create expressive videos on iPhone and iPad. The app features a unique design for combining video clips, photos and music into great looking videos to share with friends through the Messages app, or on Instagram, Facebook and other popular social networks. Clips also introduces "Live Titles", a feature that lets users create animated captions and titles using just their voice. "Clips gives iPhone and iPad users a new way to express themselves through video, and it's incredibly easy to use," said Susan Prescott, Apple's vice president of Apps Product Marketing. Clips will be available on the App Store for free beginning in April. It is compatible with iPhone 5s and later, the new 9.7-inch iPad, all iPad Air and iPad Pro models, iPad mini 2 and later, iPod touch 6th generation. Devices must be running iOS 10.3.